A record number of Venezuelans fleeing poverty, economic collapse and a political crisis entered Peru on a single day, authorities said on Wednesday. 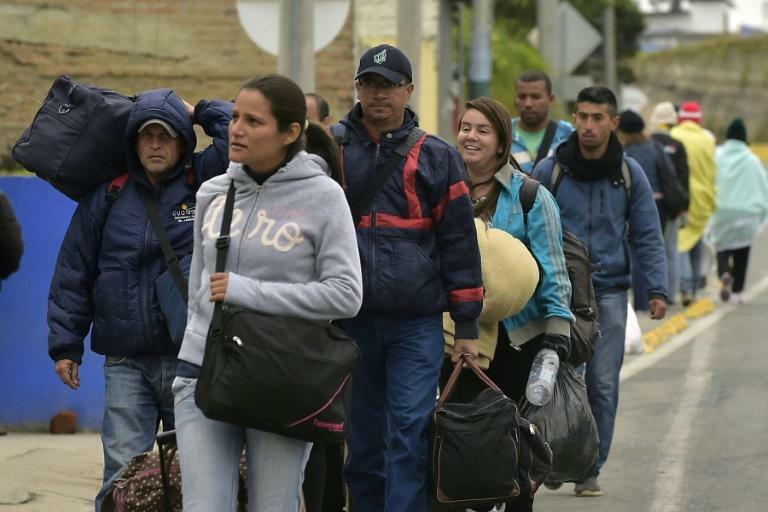 Some 5,100 Venezuelans entered the country from Ecuador on Saturday, beating the previous mark of 3,700 from a single day in May, the government said. Lima says 20,000 Venezuelans have crossed the border at the town of Tumbes in the last week. That's a massive increase from last year where around 800 a day entered the country. But that figure has spiked since February when between 2,200 and 3,000 started flooding across the border. But only 20 percent of those stay in the country while the rest continue on to Peru and Chile, the UN says. Peruvian television stations broadcast images on Wednesday of dozens of Venezuelans sleeping rough in the streets of Tumbes. The UN estimates that 2.3 million people have fled Venezuela during four years of recession under President Nicolas Maduro as citizens suffer food and medicine shortages and failing public services, as well as inflation predicted to reach one million percent this year. Colombia alone has given temporary residence to 820,000 citizens from its neighbor. Migrants have turned up as far away as Chile, Argentina and even Uruguay. In Peru, the National Migration superintendent said around 385,000 Venezuelans had entered the country over the last year. It has coincided with a rise in xenophobia, in particular on social media. According to official statistics, only 6,615 Venezuelans were living in Peru in 2016 but it is now second only to Colombia in terms of numbers.